For entrepreneurs to effectively manage a business, they need to know when to handle things internally and when to outsource different tasks. This will help instill healthy time management practices and keep daily operations moving forward. Customer service is one of the many areas that can take up a lot of time, especially if you have a call center. Here are four compelling reasons why you should outsource your call center and leave it to the experts. Outsourcing your call center can help with your overall cost savings, whether that’s your bottom line or your opportunity cost as an entrepreneur. 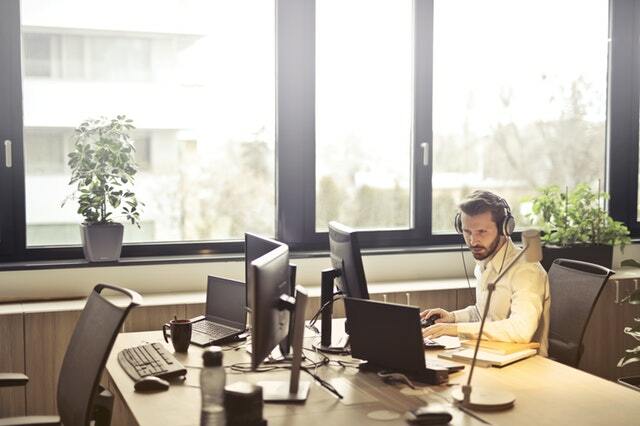 When trying to discern where you can outsource your call center, look for an organization that has pricing and flexibility that aligns with your particular business needs. In terms of opportunity cost, you need to consider how much it would cost you to be handling calls yourself or delegating this task to an employee. How much time would this take up and what could they be doing instead? Opportunity cost refers to the cost of being unable to do anything else during the time you’ve committed to a task. In most cases, dedicating your time to customer calls is not the most effective way to run a business. As a business owner, you have two choices when it comes to handling your calls internally. You either hire employees dedicated to handling customer calls, or you have employees who have other business functions that also take calls. The main problem with having a dedicated in-house call center is that your phones may not be ringing off the hook at all times. This creates a lot of downtime and wasted resources. On the other hand, if you’re entering a busy season, your employees will be trying to answer calls while handling their daily responsibilities. This increases stress and results in more mistakes being made as the focus is divided. When you outsource your call center, you can arrange to have flexible scheduling in adherence with your high and low volume traffic times. This flexibility is ideal for businesses with seasonality, such as an ecommerce provider that sells more product leading up to the holidays. This also means that what you’re paying directly relates to increased or decreased business, which further enhances your cost savings. When a customer is calling your office to get insights about their order or ask questions about a product, it’s challenging to capture the conversation that takes place. For most businesses, the best case scenario is that the employee who takes the call transcribes notes into a log. In that case, the notes are subjective, and it’s easy to miss important aspects of the conversation. When you outsource your call center, the company you use will have the resources to monitor and record calls for quality assurance. This means that you not only have insights into what customers are asking, but you can also review how well the call center is performing. There are customers that don’t operate on a schedule that’s conducive to getting immediate customer support. Despite chatbots and email support being valuable assets that are more commonly accepted as the new normal, there are lots of customers who would rather speak to a human about their purchase. If you are an entrepreneur with set business hours operating out of the USA and have a customer calling from Australia, your timing probably isn’t going to line up. Being able to get immediate feedback can be the deciding factor between completing a transaction or leaving an abandoned cart. Having an outsourced call center means that there is someone to take your customers’ calls any time day or night. Outsourcing your call center is a smart business decision that will save you time and money while offering great customer service.